TNU - University of Economics and Business Administration (TNU- UEBA) is one of the members of Thai Nguyen University which was established according to the Decision No. 136/2004/QD/TTg on August 2nd, 2004 by merging two other existing faculties: The faculty of Agricultural Economics- TNU University of Agriculture and Forestry and the Faculty of Industrial Economics- TNU University of Technology. 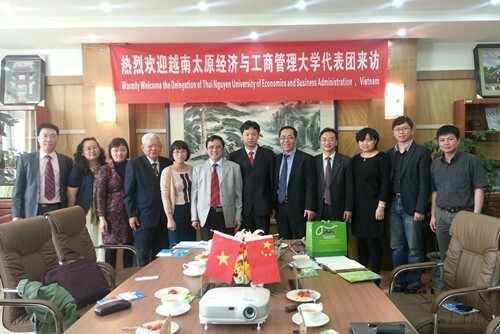 By 2025, TNU- UEBA has envisioned to become a highly prestigious institute for training, scientific research, technology transfer and international cooperation in the fields of economics, business and management. 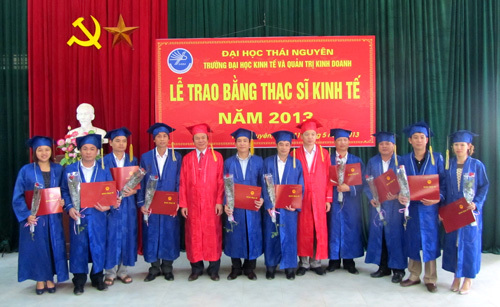 TNU-UEBA’s achievements will be equal to leading universities in Vietnam and in ASEAN region. TNU-UEBA is offering 17 undergraduate programs. Three (3) undergraduate programs of high quality had been completed and granted approval by TNU, while another one is being implemented (International trade). This program has 40 % of the courses conducted in English. In addition, TNU-UEBA has officially issued the graduation requirement for major, English proficiency (TOEIC with 450 score or equivalent) and Informatics (IC3). With seasoned researchers, TNU-UEBA has been implementing 38 state, ministry and equivalent research projects, 04 provincial projects, 08 TNU level projects and 225 university level projects since its establishment in 2004. TNU-UEBA has 5 international cooperative projects on scientific research and technology transfer with a total funding of 207,000 USD and 78,000 EURO. The university has successfully conducted 9 international research conferences in cooperation with overseas universities and research institutes and a number of significant domestic conferences. TNU- UEBA has signed 45 MOUs with famous universities such as Hohenheim University (Germany), Sogang University (Korea), AUT (New Zealand), Shanghai University of Finance (China), etc., in terms of academic training and scientific research. Further, it has developed 8 international joint training programs with 200 graduate students, 250 master students and 30 Ph.D. Since 2008, it has developed collaboration with ELI in inviting volunteer English teachers.